Recycling | How can I recycle this? We just bought a house and making a lot of renovations. We removed some glass blocks from an old bathroom window and I want to reuse them for something. 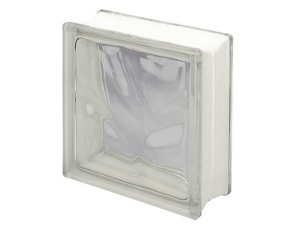 I love glass blocks and since they didn’t get broken in the renovation process I’d love to do something with them. I’d love to be able to drill holes in them and place lights for outdoor use, but don’t know how to do it. I was also thinking about just placing them around the garden, but am looking for some more innovative ideas. More creatively, I’ve seen them used effectively as the “legs” on simple tables – panels of glass blocks at each end of the table top, though I’m not sure how it was all fixed together – any ideas? Any other practical or creative suggestions for using them either inside or outside of the house? This question is a bit like the one I posted six years ago (!!) 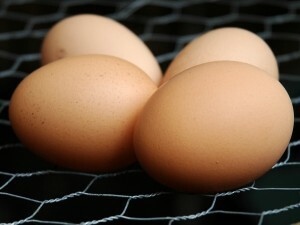 about ways to use up no longer fresh eggs but this one is a little different. We’ve got our own chickens now so always have super-fresh eggs – but sometimes, like this last weekend, I have to give them medication or treat their coup with things that mean we shouldn’t eat their eggs for a few days. I know egg yolks can be used as a hair conditioner or for a face mask – does anyone have any favourite recipes/techniques? I’ve also heard some people using them as a fertiliser boost for plants – do any plants particularly benefit from an eggy treat (especially at this time of year), or is there any that definitely shouldn’t have it? 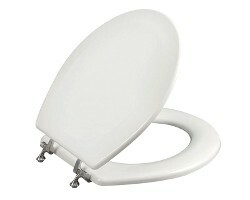 I just came into about 25 toilet seat all different colors (red, yellow, green, blue….) I know they can be reused but I’m stuck. I thought the game horse shoes but they don’t have the open front, I was even suggested picture frames! Please help. An unusual thing to suddenly acquire but they would make very fun (ok, silly) picture frames in a bathroom. I’ve got half an idea in my mind about using them to hold open rubbish bags or laundry bags – I can’t quite formulate it into an actual reuse — after a few weeks of not posting, I’m clearly out of practise at coming up with ideas so I’ll had it over to you guys. What would you do with some unwanted toilet seats? Do you know anywhere that would take them to reuse for intended purpose? Or can you think of any fun or practical reuse or recycling suggestions? I’m presuming, because they’re different colours, that they’re plastic but do feel free to make suggestions for wooden ones too in case anyone has those to use up instead. Trying to tidy up the yard at work, what can I do with some old gas bottles? 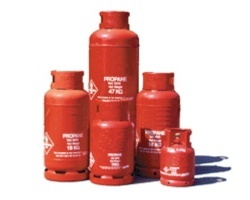 Empty or old gas bottles also pop up quite frequently on Freecycle/Freegle, Gumtree and eBay as it is cheaper to refill old tanks than buy new ones every time (and hurrah for that!). Again, hopefully they’ll disappear from your yard with minimal effort and be reused again & again. As for non-intended purpose reuses, some people turn them into outdoor woodburning stoves – but do be careful if you want to try anything like that yourself! Safety first, and all that. Have you got any suggestions for how he could reuse these bottles? Or ways to recycle them? And any other advice (particularly about safety issues)? I have a number of large metal food cans, some zinc lined, which are called #10 size. They hold about 5 or 6 lbs (just under 3kg) of beans, or other foods. Now that they’re empty, they are open on one end, with no plastic lid to fit them. Any ideas? Surely I’m not the only one faced with this. I can recycle them, but would like to reuse them. 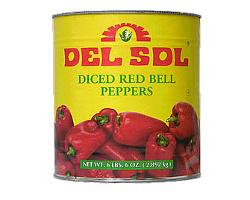 They sound like pretty big tin cans – probably similar to what we call “catering size” in the UK. I think at least some of the ideas we have for regular size tin cans could be supersized here: plant pots, candle/tea holders for several candles, or using them as a vessel for making those candles in the first place. But are there any reuses (or upcycling ideas) that are perfect for these bigger cans? Could the can be flattened out to make anything?